The survival of the Swift in our towns and cities is now under threat. This Bird species occupies niches and voices on all kinds of buildings. These places are often destroyed, blocked or at least made uninhabitable by building renovations or new buildings. SCHWEGLER replacement roosts can be used to create a very successful remedy. You can paint our nest boxes at any time with breathable paint to match the colour of the building façade. Please ensure that you only use paint that is “breathable”. 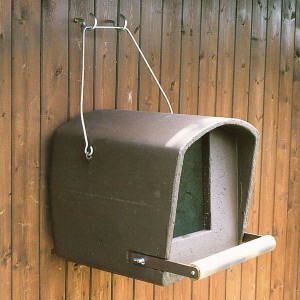 Our tried and tested Swift Boxes have been used successfully throughout Europe for decades. The lightweight boxes are especially suitable for retrofitting on external façades. Alternatively, they can also be installed directly in a façade. 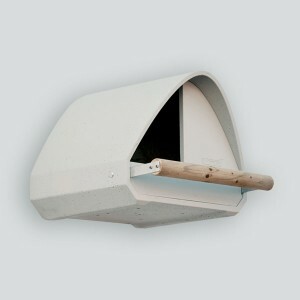 Material: Certified, asbestos-free, vegetable fibre-reinforced concrete and SCHWEGLER wood-concrete. Galvanised fixing elements. Suitable positions: On external façades or under the roofs of all kinds of buildings, for example, houses, industrial buildings, churches, road structures, walls or even cliffs and rock faces. 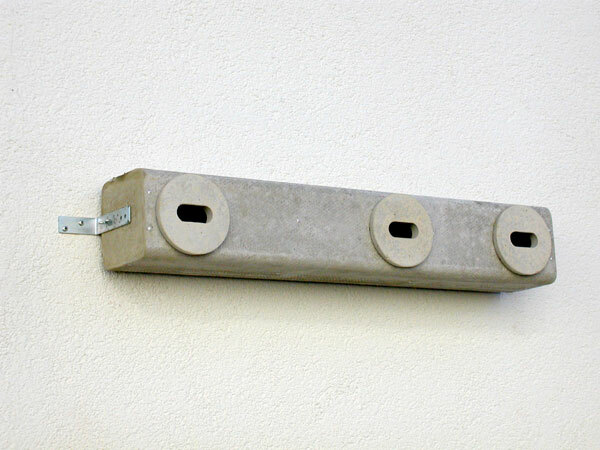 For outdoor installation in very sunny locations we recommend our wood-concrete Swift nesting aid as an alternative, e.g. No. 16. 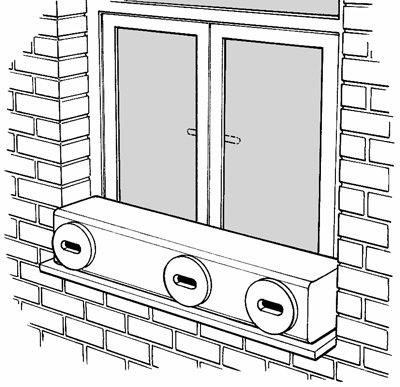 Alternatively, the boxes can also be bricked in or installed in the thermal insulation. Cleaning and inspection: The Type 17 boxes can be cleaned after the entrance rose has been removed. To this end, the entrance is turned through 90° (entrance hole vertical) and is removed. 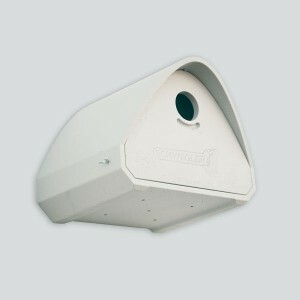 But in general it is not necessary to clean the boxes if they are used by Swifts. The Swift nest is always made in the darkest corner of the roost and away from the entrance hole. Colour matching: Type 17 nesting aids are supplied in natural grey. They can be matched to the background colour by painting them with breathable paint. Versions without removable rose: On request we can also supply you with these boxes without a cleaning opening, i.e. with an elongated 30 x 70 mm hole only. Please ask if required. 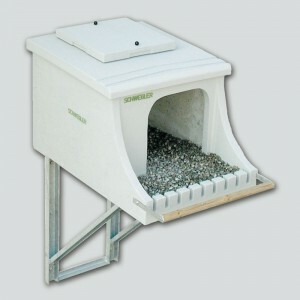 Optionally, the Swift Boxes can be ordered with entrance for Sparrows or entrance openings for rock shelter occupants. Especially suitable for colony formation due to three separate brood chambers in a single housing. Each chamber has its own removable Entrance Rose for easy cleaning and inspection. 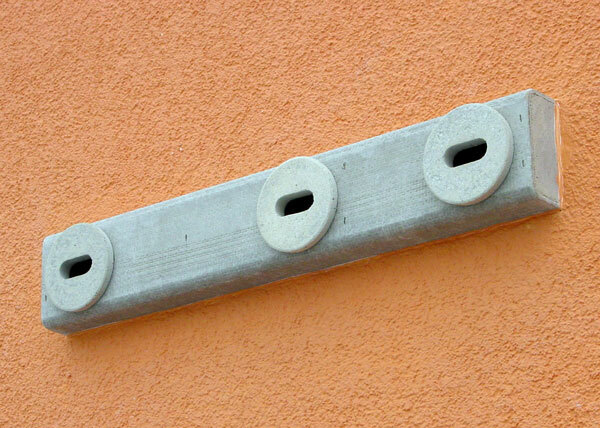 Installation is very easy, fast and stable, thanks to the two zinced fixing brackets supplied. Can be either hung on the wall or “overhead” e.g. on eaves. 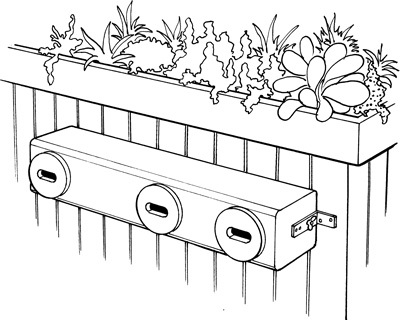 The wall-side leg of the retaining brackets can also be installed concealed behind the box if necessary, in order to reduce the installation width. Supplied with fixing materials. External dimensions: W 98 x H 15 x D 15 cm. Brood chamber: W 30 x H 14 x D 14 cm. 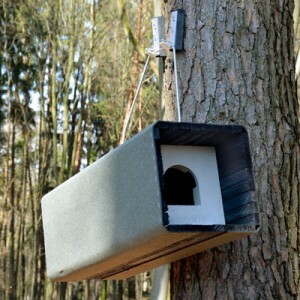 Includes: Nest box, fixing bracket, screws, plugs.